This listing is for ONE bib. It is also a great ADD ON to any burp cloth in my shop! The photo's above show some examples of different bibs I have made. 2. The shape of fabric on the bib. Square, Rectangle, Heart, Initial, etc. 3. The cut of the fabric. Straight Edge or ZigZag Edge. Any questions, please let me know! 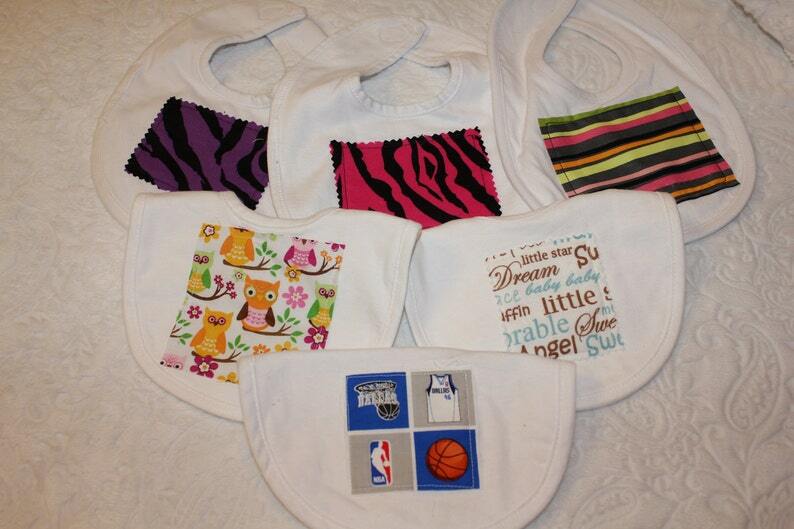 If you would like to order multiple bibs, please let me know and I'd be happy to set up a custom listing for you!